Are you in the midst of a move to California? If you have not yet decided on the perfect city to call home, Long Beach should be a contender on the list. It is in a prime location, located near both the city of Los Angeles and Orange County. This allows for quick and easy day trips to the beloved Laguna Beach and Disneyland. It is only a hop, skip, and a jump away from downtown Los Angeles, which makes for a fun night out. If you are looking for a city with ideal temperatures all year-round, then look no further. The weather is sunny all year-round, as is much of Southern California. Along the coast, you will have cooler temperatures year-round, but the further inland you go, the more variety you will have. However, you will not reach the extreme high or the extreme lows as you would in other parts of the state. All that there is left to do is pack your bags and be on your way to your new home in Long Beach, California. Moving can be stressful, but National Dispatch is here to help. We offer nationwide car shipping services to help make your move an easy one. Learn more about California Car Shipping Services. Whether you are shipping a car for a vacation or for a permanent stay, there are many benefits to using a professional auto transport company. Below, you will find just a few reasons why shipping a car is better than driving. By shipping your car, you will receive added peace of mind knowing that it is in the best hands. A professional will be caring for your ride, so you can be rest assured that it will arrive safely without incident. You also do not need to worry about accumulating hundreds or thousands of miles on your journey. Unlike with driving, car transport is a safe alternative that saves your vehicle unnecessary wear and tear. Are you concerned about the weather? Check out our enclosed auto transport services. Many people choose to use car shipping services, because it is easy and convenient. After booking auto transport services, a driver will arrive to load the vehicle for transport. Leave all the hard work to us. This way you can focus on more important matters. Travel to your new home by plane, and your car will be delivered safely and quickly. It is that easy. There are many factors that go into formulating a car transport rate. It depends on the type of vehicle, location, distance, carrier type, and more. National Dispatch aims to provide affordable car shipping rates. Request a free, instant car shipping quote today. Before moving to Long Beach, there are some things that you must know. Where should I move to? Where should I go once I move? These are important questions to ask, and we have the answers you are looking for. There is a home for you no matter your style, taste, and lifestyle. For example, Alamitos Beach is best known for its nightlife, while Belmont Shore is quiet and quaint. Bixby Knolls is dedicated to the arts. Before you move, make sure to check out each of them to see which one best suits you, your family, and your needs. If you do not feel like driving into the city of Los Angeles or driving to Orange County, have no fear. 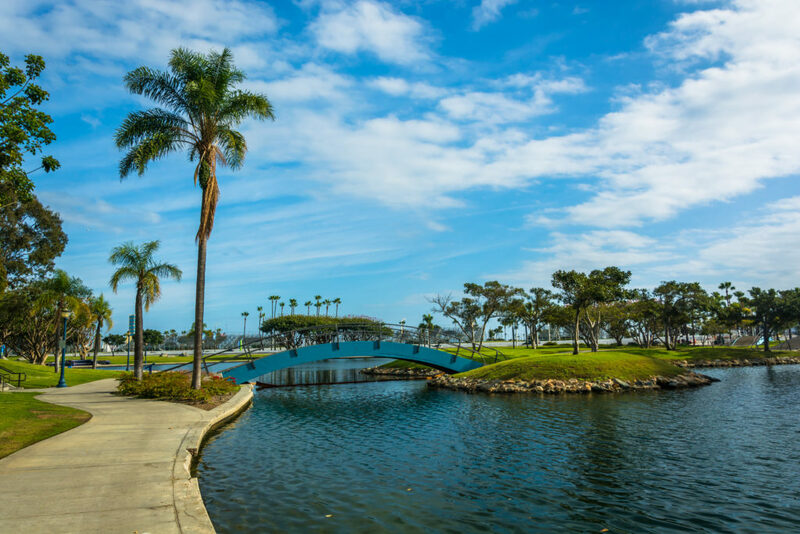 There is never a shortage of fun things to do in Long Beach. The Aquarium of the Pacific – This aquarium is widely popular among tourists and natives. It is the fourth most visited aquarium in the entire country and has more than 50 exhibits with more than 11,000 animals. Each of these animals and exhibits represents the diverse population that makes up the Pacific Ocean. Naples Island – At Naples Island, you can enjoy shopping, dining, and form relationships with business owners without the overcrowded feel of the inner city. You can enjoy Mother’s Beach and the calm sea that it has to offer. For date night, you can take a romantic gondola ride through the canals of Naples Island. One of the most popular things to do in Naples is simply walking. Locals and tourists alike, agree that walking the streets is the best way to enjoy the little slice of heaven and to meet incredible people. Rosie’s Dog Beach – If you love your furry friend and want to take them to the beach, but cannot seem to find a dog friendly beach, look no further than Rosie’s Dog Beach. Here you and your companion can enjoy the waves and the sand. Just make sure that you have one adult per dog and that the dog is up to date on all of their shots and vaccines. There are thousands of auto transport companies out there. How is National Dispatch different? We pride ourselves in providing a specialized customer service experience, one that fits your needs and budget. We are shipping more than just cars. We do what we do, because we believe in making our customer’s lives easier and saving time for what matters most. Many companies offer a free online quote form on their websites, but our quote calculator is different. Not only will you receive a quote in seconds, but no personal information is required. This means no phone number and no email. If you would prefer to speak with one of our auto transport representatives, call us at 800-321-2051. Living in a new place can be a bit overwhelming, especially since you don’t know where all the best places to go are. Where should you take your car to get serviced? Where should you look if you are in the market to buy a new car? National Dispatch is here to help make the whole moving process a bit easier by giving you a few recommendations.